We all know that the holidays are filled with pies, cakes, cookies and other sugary treats. Something that can be equally as delicious, though, to go along with the other goodies, is fresh fruit! 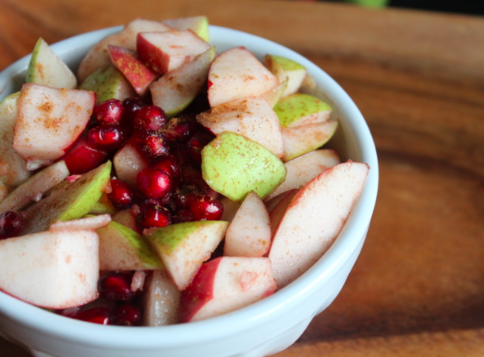 This fruit salad is refreshing, sweet and doesn’t skimp on the holiday spice. Toss chopped fruit with the lemon juice to prevent browning. Stir together orange juice, maple syrup, ginger and cinnamon. 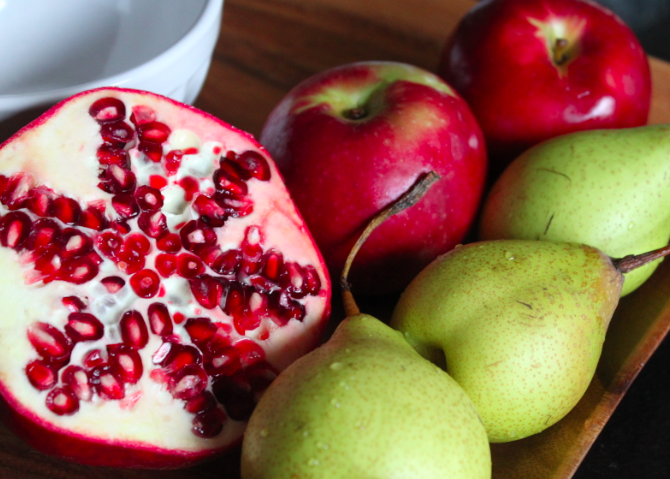 Pour over fruit and mix well. Transfer to bowl and serve! *This can also sit for awhile in the fridge and soak up the flavors even more!